20 - MS63 Morgan Silver Dollars - NGC Graded. 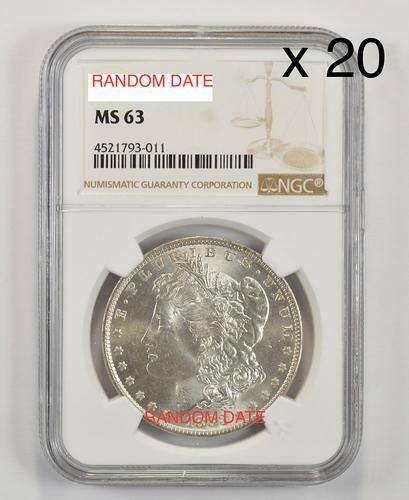 You are bidding on 20 - MS-63 Morgan Silver Dollars - Mixed Dates - NGC Graded - Investment Lot - a decent mix of dates, however there will be duplication. We choose them at random!